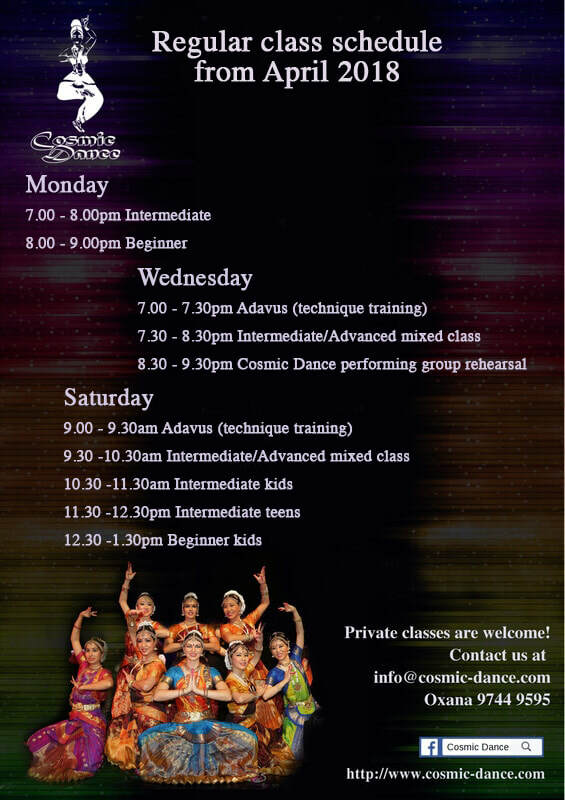 Established in 2009 by BharataNatyam performer, teacher and choreographer Oxana Banshikova, the mission of Cosmic Dance is to popularize Indian dance in Hong Kong and to create opportunities for Indian dance lovers to learn and perform a variety of Indian dance forms. At Cosmic Dance we concentrate on BharataNatyam Indian Classical dance and its fusion with modern popular music, although we also work with modern dance styles and are continually seeking to expand our horizons. 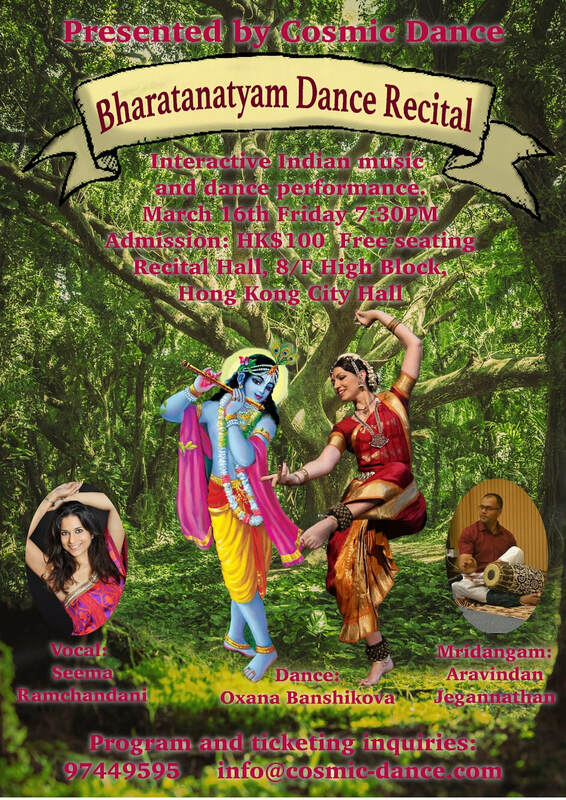 Cosmic Dance Group is one of the most diverse and multicultural dance groups in HK, we are from different countries, cultures and backgrounds and we share a common passion for Indian Classical Dance. You can see an image gallery from our ﻿2018 annual recital here﻿. Cosmic Dance were in Taipei where, in conjunction with Beyond Bollywood, they performed at the National Chiang-shek Memorial Hall. 'A journey within' depicted the fascinating experience of a Chinese traveller on a journey through India. Oxana was invited to Almaty, Kazakhstan to be a judge and perform at the Tessafest International music Festival and Competition. On March 16, Cosmic Dance presented an interactive music and dance performance featuring guests, Seema Ramchandani and Aravindan Jegannathan. ﻿﻿﻿﻿﻿﻿﻿﻿﻿﻿﻿﻿﻿﻿﻿﻿Click﻿﻿﻿﻿﻿﻿﻿﻿﻿﻿ ﻿﻿﻿﻿﻿﻿on the poster to view the gallery.